Colorado Ski Country USA is excited to officially launch the 5th and 6th Grade Passport programs for the 2011-2012 season! For over 15 years, the 5th Grade Passport Program has been offering free skiing to 5th graders. Since 2002, Colorado Ski Country has been encouraging children to continue skiing by offering the 6th Grade Passport Program as a follow-up pass. This year, Colorado Ski Country USA’s 5th Grade Passport Program provides participants with three free days of skiing or snowboarding at each of the 21 member resorts. 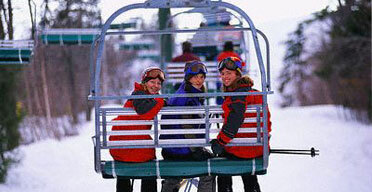 Ski all 63 days or just a few; the 5th Grade Passport is still the best value in Colorado. Colorado Ski Country USA’s 6th Grade Passport Program provides participants with 4 days of skiing or snowboarding at each of our 21 member resorts for $99. That amounts to 84 days on the slopes for a mere $1.20 per day.